Whether you’re considering going off hormonal birth control to start trying to conceive or to rid yourself of the side effects some people experience when taking hormonal contraceptives, cutting off this supply of hormones will likely cause you to experience new symptoms. Of course, every person is different — transitioning to prepill baseline hormonal state is more seamless for some than it is for others — but a few changes are common according to OB-GYNs. Here are some things you can expect your body to go through when you stop taking the pill. You probably already know that getting off birth control means pregnancy is a possibility (if you’re not using another method, like a condom), but you might not realize just how quickly it could occur. “Many women think it takes a long time to conceive after they stop the pill, but research shows that pregnancy rates are about the same as those for women who had used barrier methods (like condoms),” Dr. Jeff Chamberlain, an OB-GYN with UCHealth Women’s Care Clinic in Steamboat Springs, Colorado, tells SheKnows. One study published in Reviews in Obstetrics & Gynecology analyzed pregnancy rates in women after oral contraceptive use and found that about 20 percent achieved a pregnancy in their first cycle and 80 percent after one year. It’s worth pointing out, however, that it’s very possible that it could take a year or more, especially after you stop injections like Depo-Provera according to Chamberlain. 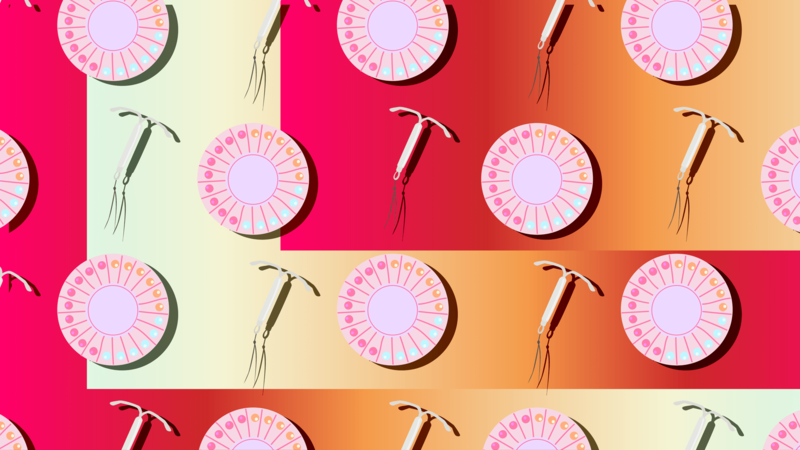 When you’ve become so accustomed to getting your period like clockwork every 28 to 30 days, it can be startling when the bleeding is nowhere in sight post-pill. But experts say this is very common and almost always nothing to worry about. If your period on birth control used to be light and last only two to three days, be prepared for a drastically different flow post-pill. Dr. Kameelah Phillips, an OB-GYN in New York City, tells SheKnows it’s common for periods to be fairly predictable and light while on birth control, but that sometimes, after stopping the pill periods may become more unpredictable and/or heavy. This is not necessarily a bad thing; it’s just different. “A few months off the pill will help you better understand your new cycle and adjust your pad or tampon use accordingly,” she says. Any hormonal method of birth control works by keeping you from ovulating, Chamberlain explains. But once you’re off birth control, the ovulation process begins rather quickly — typically within three months. “With ovulation, you may feel mild cramping on one side of your pelvis as your ovary releases an egg,” he explains. This feeling is known as “mittelschmerz,” a German word that translates to “middle pain.” You may also have more vaginal discharge. Another welcome side effect of the pill is an improvement in your skin. So, while you might have been blemish-free while on the pill, you won’t necessarily stay that way as you transition off birth control. Plainly put, birth control can put a damper on your libido. So, after discontinuing the hormonal contraceptives, it is possible to experience a sudden increase in sexual desire because you will experience natural ovulation. Most women are pretty happy to have their libido back, as well as the increase in vaginal lubrication that comes along with it, Chamberlain explains. You probably felt a few changes when you first started taking birth control, which you got used to over time, so it’s only natural for your body to readjust to your new hormonal status post-BC. Don’t worry if you’re dealt an unpleasant hand, as these symptoms tend to be temporary. If for any reason you’re having trouble adjusting to bodily changes after birth control or are experiencing irregular or absent periods, it’s best to make an appointment with your OB-GYN to rule out other health conditions that may be interfering with your cycle.